Imagine a place with a thriving bike culture that has no access to new bikes or parts. Now imagine you are a bicycle mechanic in such a place. How would you fix the most simple brake problem without parts? How would you repair a worn out chain? This is how bicycle mechanics must work in Havana, Cuba. 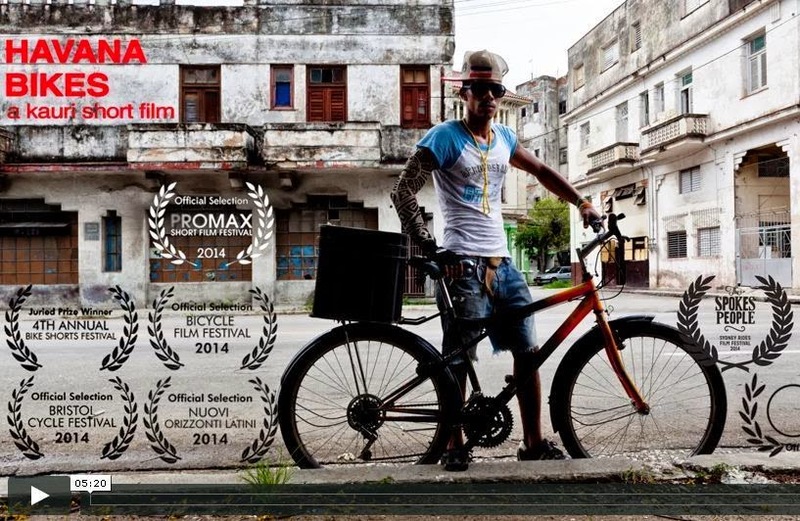 In this video from last year you will see the innovative spirit of Havana’s bicycle mechanics as they struggle to keep the finite number of bicycles in their city rolling. Look closely at their clever methods and keep an eye out for some lovely old tools; especially a cast-iron truing stand. I could watch this video over and over again imagining what these mechanics would do if they could connect with us and create their own Social Bike Business program complete with enough profits to buy new parts and even manufacture their own bikes to sell out of real storefronts. Their programs could build around the courageous beauty of the skills they’ve developed in these isolated times. Maybe this will be possible soon as restrictions are slowly lifted. If anyone knows a bicycle mechanic living in Havana, or even one of the city’s lucky few who own a bike, please find a way to get them a copy of Defying Poverty with Bicycles. At least with that book, they could begin building on their skills to help many more people ride bikes in their city.